Aluminum alloy wheels are showpieces. 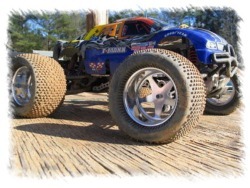 Even for the specialist RC car market, and at a smaller scale, customers want their wheels looking good. 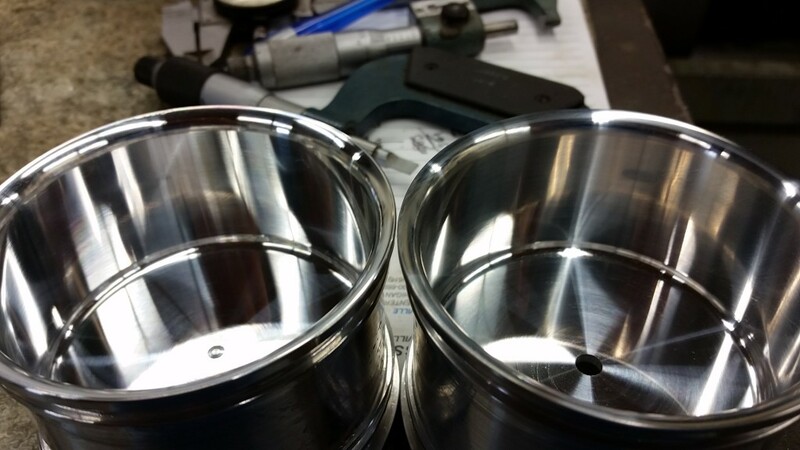 So imagine Rick Steinard’s surprise when he saw the wheels looking “like chrome” coming off his CNC machine. 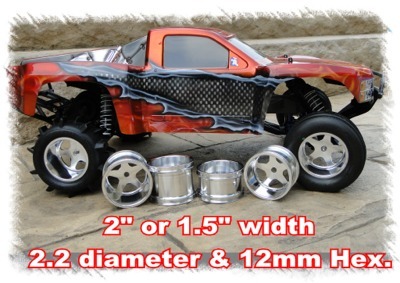 Rick is the owner of SPI Racing Wheels, which specializes in racing wheels for the RC market. Rick just started a trial of our new Tool-X 703 water-based coolant, and he sent us a before and after photo. Rick normally polishes his wheels with Mother’s aluminum polish before sending them out. With the Tool-X, he now plans to only touch up his “Show Wheels”, the Race and Basher wheels can be sent out as is. These are the best photos yet of results for our new Tool-X 703 water-based semi-synthetic coolant. We’ve tweaked our formulation so our suspensions can hold more nano-material, which enhances their intrinsic polishing capability. Our nano-onions are hard enough to remove dirt, grime and oxidation layers from the surface of the metal, yet small enough (nano-scale) to prevent wear to the tool or the part. By preventing built-up edge, cutting tools cut cleaner, with more accuracy, and last longer than with conventional coolants. The superior heat transfer and nano-abrasion prevents adhesion between tool and part, preventing the microwelding that causes wear, pitting, and cracks. 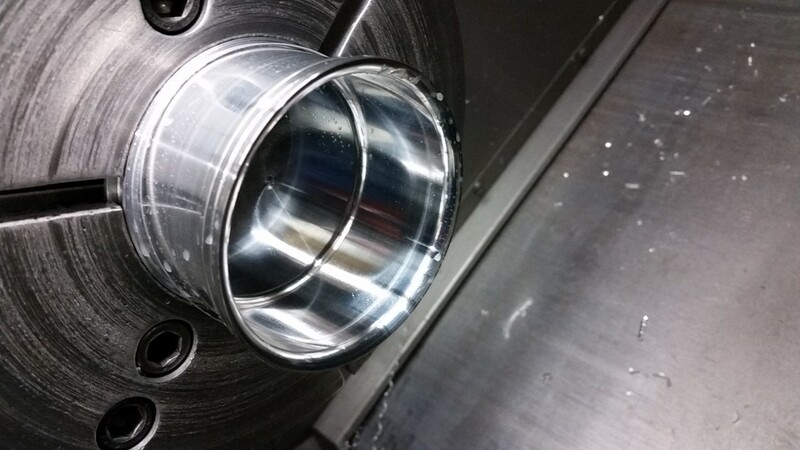 For more information about how Tool-X can improve the surface finish of machined parts, we recommend looking at case studies #103, #105, #106, and #112 for other examples of how Tool-X improved Ra, improved cutting accuracy, and improved surface finish.